Gym flooring for fitness areas, gyms, weight rooms & sporting venues. ABS West supplies a range of Regupol and everroll® flooring products for use in gym and fitness applications. Our tough and durable products comply with fitness industry standards and offer many advantages including comfort, durability, safety and affordability. 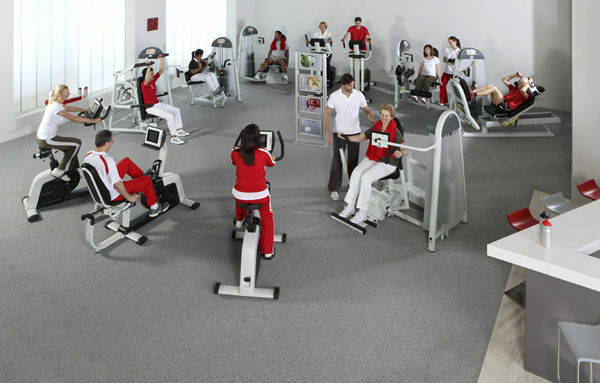 Our gym and fitness floor coverings have been used in the industry for over 25 years. Our range includes everroll® rolls, tiles and planks; everroll® composite and Regupol Elastic Tile E. Each of these products is detailed below. ABS West supplies a range of Regupol® and everroll® flooring products for use in gym and fitness applications. Our tough and durable products comply with fitness industry standards and offer many advantages including comfort, durability, safety and affordability. 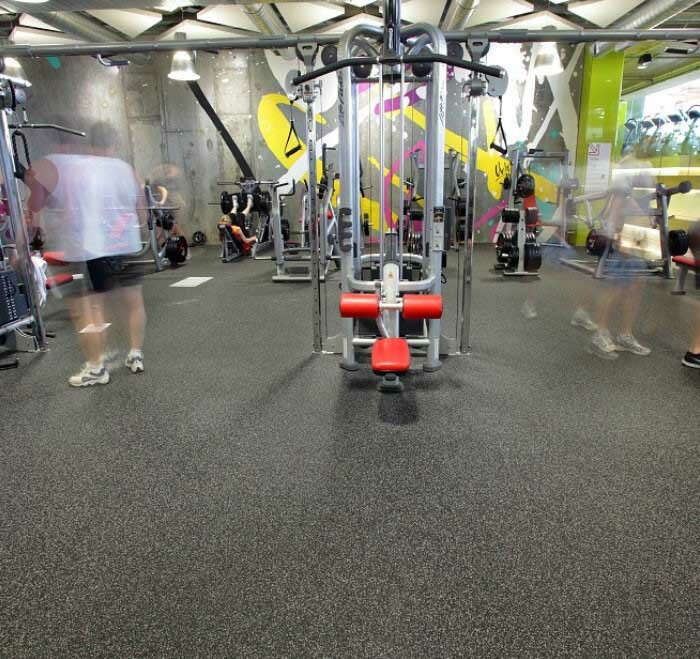 Our gym and fitness floor coverings have been used in the industry for over 25 years. Our range includes everroll® rolls, tiles and planks; everroll® composite and Regupol Elastic Tile E. Each of these products is detailed below. Heavy duty, recycled rubber flooring for gyms, sports & fitness areas. A two layered ‘sound & shock’ absorbent flooring comprising everroll® on top of shock-pad. An economical way to achieve sound & shock absorbency in gyms, weight rooms & sports areas. Used by the gym & fitness industry across Australia & worldwide for decades! Everroll rubber flooring offers an easy to clean, non-slip surface ideal for gyms, fitness studios, change rooms, therapy rooms and foyers. Everroll is a non-laminated product that offers superior sound absorption. Flooring is such a significant part of our business we decided to create a website dedicated entirely to flooring so we can give our customers detailed information about each product. THE CORE OF THE COLLECTION. The original & most successful everroll product. Taking everroll® Core to the next level. A great choice for community facilities. Increasing colour vibrancy while still maintaining high levels of eco-preferred content. Renowned for vibrant colour, durability & flexibility. High elastic strength & impact resistance, with impressive durability. A bolder infusion of colour. Ideal for accents, borders or inlays, but also suitable for whole floor areas. Take a look at Fremantle Dockers’ new training facility that incorporates a large scale logo inlay, using precision-cut everroll® flooring. Our gym & sports flooring is composed of key ingredients with high eco-preferred content and selected tones of EPDM rubber granules. The result is a low odour product with high recycled content. 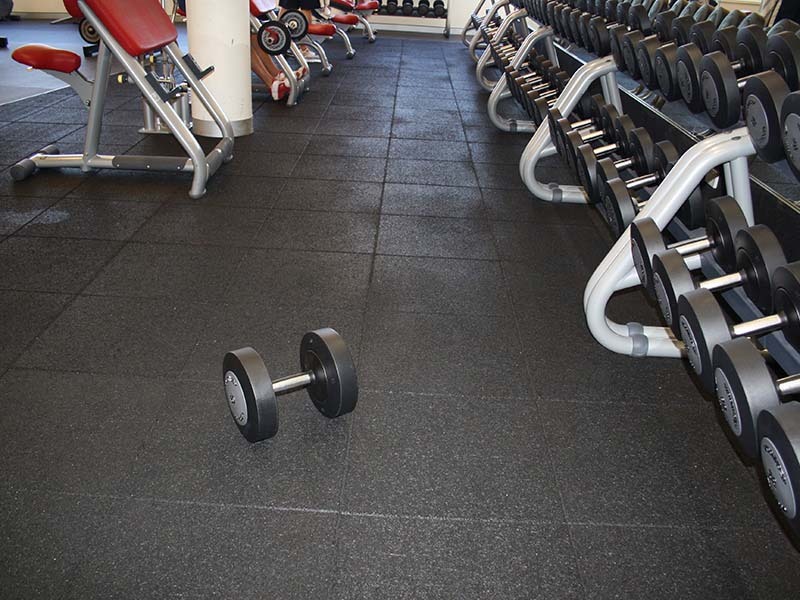 Everroll gym flooring is trusted by the industry, with proven strength & durability. Our flooring is purpose built to sustain high impact and heavy duty usage. Regupol & everroll products are made from high quality material, proven to be fit for purpose and remain permanently elastic. Each range has its own distinctive characteristics and is available in an array of colours. Available in thicknesses ranging from 4mm to 12mm. Please refer to each variety for details. Meets the sustainability criteria due to the high level of recycled materials incorporated into the flooring. An important factor when considering the health and well-being of an interior’s occupants. Everroll flooring can be sealed permitted it remains suitable for its intended purpose and complies with slip resistance requirements. German manufacturing and ingenuity is synonymous with quality. Everroll flooring is no different and bears all the hallmarks that customers expect from German manufactured products: quality, reliability and durability. Get your imagination going because the aesthetic results achievable by combining shapes and colours will surprise you. Take a look at our brochures and case studies to get an idea of the possibilities. A two layered system for increased sound proofing & shock absorbency in gyms, weight rooms & fitness areas! Everroll composite flooring is a two layered system. The bottom layer is a sound proofing and shock absorbing underlay. The top layer is everroll rubber flooring according to your desired colour, finish and application. The system offers “point elastic deflection” meaning that the floor will deflect according to each patron’s body mass. This offers a significant advantage over traditional sprung timber floors, which will merely deflect in response to a large weight rebounding concurrently. Everroll flooring combines reliability, sustainability and stunning aesthetics. The German origins of Everroll flooring underlie the product’s superior functionality and durability. Everroll flooring is built to last, but that doesn’t mean compromising on appearance. The scope to combine colours and patterns along with the ability to incorporate lettering, signage, or motifs; offers a level of versatility limited only by the imagination. An economical way to achieve sound & shock absorbency in gyms, sports areas & weight rooms! Regupol® Elastic Tile E offers good shock absorbency in heavy use areas such as gyms or weight rooms, and is an excellent rubber matting alternative for underneath gym equipment. The tile’s impact sound absorption characteristics substantially reduce impact noise from balls, weights and footfall. The durability of this product makes it particularly appropriate for high impact environments with heavy weights. Elastic Tile E is installed easily over screed, asphalt or other subfloors. Surface irregularities, that can occur as a result of heavy use, are minimized considerably when Regupol® Elastic Tiles are installed. Regupol® elastic tiles are made from the highest grade components and do not exhibit the premature degradation of the wear layer or emit noxious odours associated with lesser quality rubber tiles. CONTENT DISCLAIMER: ABS West has taken all reasonable care in producing the content contained in this website. However, ABS West will not be responsible to loss or damage arising from the use of this information. The contents of this website should not be used as a substitute to detailed analysis or investigations regarding product information, or any queries the reader wishes to have answered.